Ten years ago I did one of the best things I’ve ever done for myself: I became a part of the Voices of Our Nations Arts (VONA) family, the writing workshop created specifically for writers of color. I was in graduate school at Mills College at the time, delighting in and absorbing all of the writing I could through the fine MFA program. I was focusing on nonfiction and reading great stuff by writers like Annie Dillard, E. B. White, Mark Twain, Elizabeth Gilbert – but something was missing. A favorite professor, sort of the mama hen to students of color, noticed that, even within Mills’ multicultural and accepting environment I was struggling to connect with the reading selection, and one day she suggested I apply. By the time I sent in my application for VONA, I was more than ready to read books by and connect with other writers of color, meet published professionals and gain from their guidance, and write about what I knew, in a supportive environment. 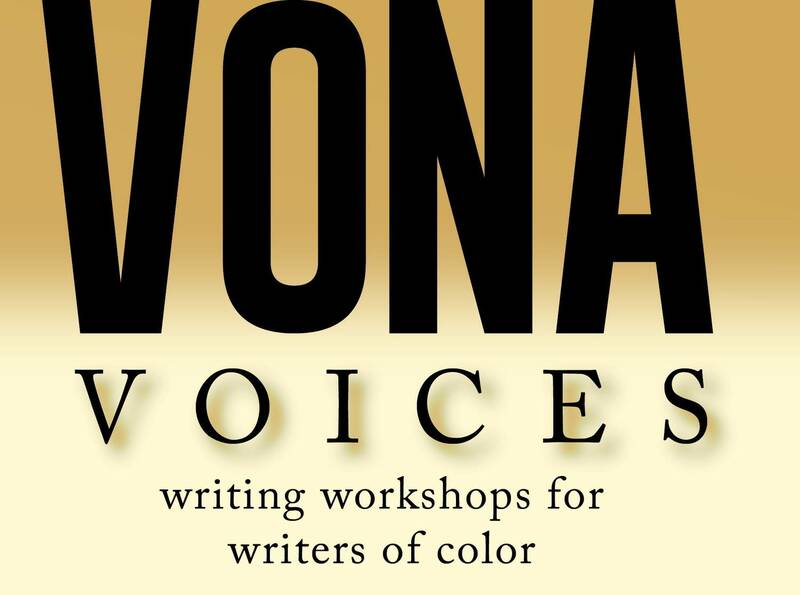 VONA is the only multi-genre workshop for writers of color in the nation. There are numerous workshops out there, like Iowa Writers Workshop just for writers, Millay Colony for artists of all genres, Hedgebrook for women – places where writers get together in secluded, usually nature-adjacent spaces to write, get feedback on their writing from other emerging writers, and/or workshop writing in progress with professional writers who focus on a specific genre. VONA was founded in 1999 by that same favorite Mills professor, Elmaz Abinader, along with Junot Díaz, Victor Díaz and Diem Jones. They collectively envisioned “an arts organization that could change the landscape for writers of color by supporting individual writer growth, creating a platform for community engagement and providing a workshop and mentor focus to expand writing opportunities.” So you can sign up to take group workshop or master classes in fiction, poetry, memoir, political content, LGBTQ narrative, or playwriting, all with the most amazing writers of color. And that’s just what I did. At VONA I workshopped with Jimmy Santiago Baca. I got to hear new, live poetry from Suheir Hammad, and be in the same room as one of my personal heroes, Ruth Forman, whose poetry collection, We are the Young Magicians, electrifies me each time I read it. I shared ideas and laughed with other writers of color from all over the country. We’re not all the same, with the same lives, experiences, or writing styles. We are as many and varied as there are stars in the sky. And at VONA, your writing, your self, is completely supported, and so you’re able to dig deep and write from the heart, from the dark places and light, write what you’ve needed to write. I met the friend who would later be best person at my wedding to my wife, and who wrote a poem just for us that I’ll treasure forever. I sparked a friendship with an Indian woman who’d turned to boxing in the aftermath of a sexual assault, and was writing about it to get through her pain. We wrote in slang. We wrote in native language with and without translation. We wrote about good stuff like family ties and rituals, religious experiences, migrating to a new country, and being first generation; and we wrote about the bad stuff – racial profiling and segregation, sexual abuse and assault, foster care, adoption, coming out to families and friends who weren’t as accepting as we’d hoped. We wrote about everything you can think of, supporting each other, critiquing, perfecting our work in a safe environment. We became a family. VONA is part of the lives of some of my favorite professional writers, faculty members you might recognize like Mat Johnson, Victor LaValle, Chitra Divakaruni, Andrew X. Pham, Cristina Garcia, Walter Mosley, Terry McMillan, Achy Obejas and M. Evelina Galang. And it has been home to over 2,000 writers from around the world, including Nayomi Munaweera, Tiphanie Yanique, Charles Rice-Gonzalez, Cheo Tyehimba and Aimee Suzara. 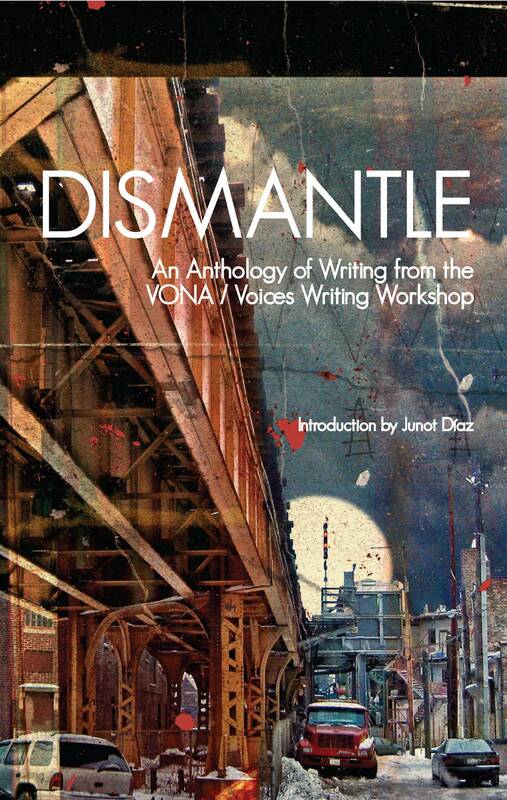 In 2014 VONA published Dismantle, a book of writing from the workshops; and in the wake of a year where we need to reaffirm to the world that people of color’s lives matter, created a website specifically devoted to writing “to deepen the perceptions and dialogue about the state of Race.” VONA is in the business of doing everything possible in support of writers of color, and for that, I’m immensely grateful. My perfectly ideal world wouldn’t necessarily need a VONA. Writers of color would be firmly entrenched in this country’s required reading lists because every writer would be valued and read and lauded for their words – regardless of skin color, sexual preference, nationality. But we’re not there yet. So if you’re a writer of color or know one who is, check out VONA. The workshops take place over the summer in Miami, and there are scholarships available. Whatever stage of writing you’re in, wherever you’re from, whenever you feel the time is right – VONA will be there for you.